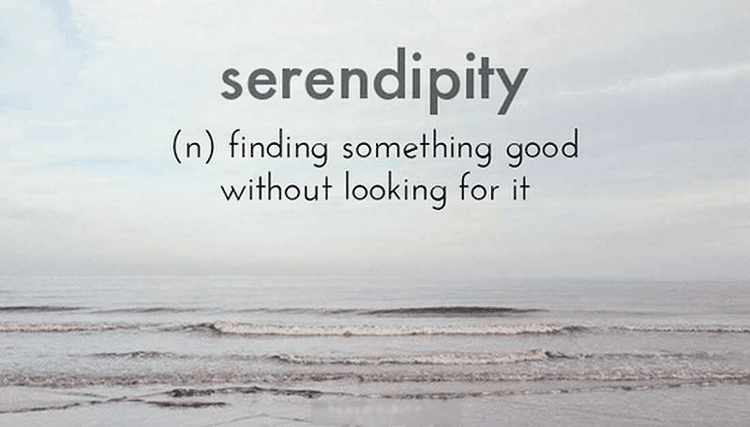 Serendipity: it means "the faculty or phenomenon of finding valuable or agreeable things not sought for." It's also one of my favorite movies featuring John Cusak. Some people use terms like luck or fate. They say that sometimes things just happen. It was the Native Americans when needing water, tapped into a maple tree and made the first maple syrup as they boiled off the sap. Another moment of serendipity came when Mr. George Ballas was in his car at the car wash and noticed the strings of brushes cleaning his car. He looked at them on the rotating brushes and an idea "popped" into his head. I wonder if a nylon cord, spinning around at a very high speed, could trim the grass and trees around the house. That's right, the weed-eater was born! God is the master of serendipity. In fact the bible says that he is able to give to us "exceedingly and abundantly above all that we ask or think(imagine). Things don't just happen...God is orchestrating our steps. The Grand Designer, the Creator of Serendipity is getting ready to "surprise" you today. You are going to find some valuable and agreeable situations coming your way that you never even looked for! It's time to let your innovative and creative spirit thrive!